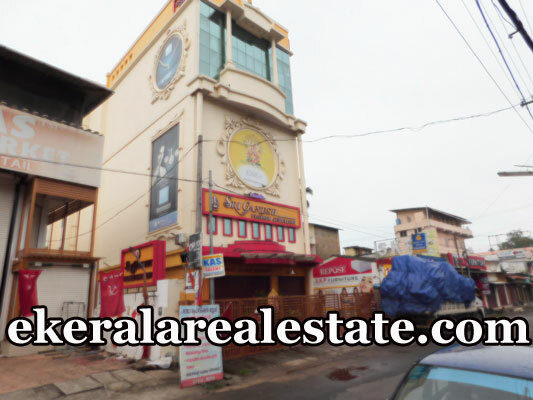 Building located at Aryasala, Chalai, Trivandrum – The Most Popular part of Central Business Center of the City. Total Floor Area: 24,000 Sq.ft. Land Area:21.3 Cents. Note: Property is registered under multiple Door numbers so that it can be used for one business or as a Shopping Mall with a number of shops in each floor. Most Prestigious Self Standing Building Built to modern standards with good Road side appeal. Accessibility: Wide Road access with both way Traffic permitted. Good visibility and Signage..